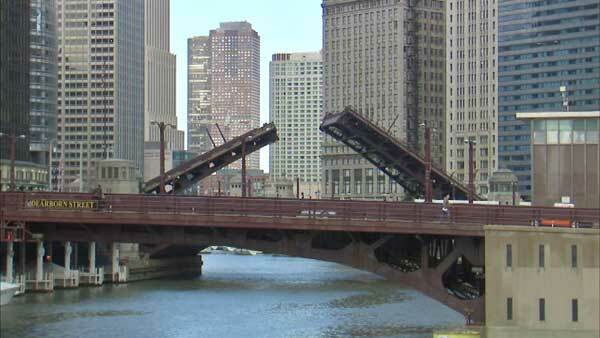 CHICAGO (WLS) -- The bridges over the Chicago River will be lifted one-by-one, starting Saturday, so boats can make their way from storage yards to the open waters of Lake Michigan. A total of 27 bridges will be lifted in succession from the Ashland Avenue Bridge on the south branch of the river to Lake Shore Drive on Saturdays and Wednesdays through the end of June. The bridge lifts may cause traffic to back up for a short time as boats sail through. But they are also a sign that warmer weather is on the way.